It’s been almost a year since the Dragon Hops Brewing sign went up in front of Purcellville’s former Town Hall building on Main Street, but not a single beer has been sold. That changes next week. 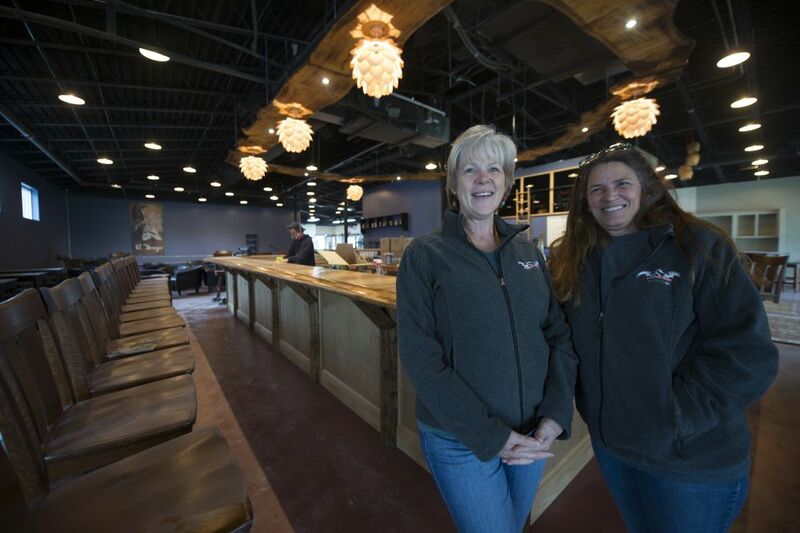 The brewery, owned and operated by the mother-son, military veteran duo of Jamie Horris and Emily Coryell, is finally set for a Saturday, May 5 grand opening, after more than a year of preparation and setbacks. Originally planned to open last August, the owners took the architectural design work into their own hands and are now ready to debut four different beers to the public—all made with homegrown, USDA-certified organic hops. According to Horris, the 8,000-square-foot building will have room to fit 180 patrons that will be treated to live entertainment “as often as possible.” While he plans to eventually sell beer from other local breweries, Horris said Dragon Hops would initially feature a stout, a saison, an IPA and a Belgian-style beer, all brewed onsite using a 10-barrel, 258-gallon system. The tanks used to brew the beer range anywhere from 8-10 feet tall and 5 feet wide. The fermenting tanks can also hold up to four varieties of beer, and more than 1,000 gallons of it. What separates Dragon Hops from other breweries in the region isn’t its larger-than-most location or brewing system, though. While most breweries buy their hops from growers, Dragon Hops grows its own on a 3-acre hop yard just 10 minutes south of town, on land Horris and Coryell acquired four years ago. Once the two decided to actually use the land and not just sit on it, the idea to grow hops was set in motion. Today, Dragon Hops is a team of six executive employees, including a hop yard manager, a human resources specialist and a marketing operations manager. They also recently hired a Mitch Pilchuk as head brewer. 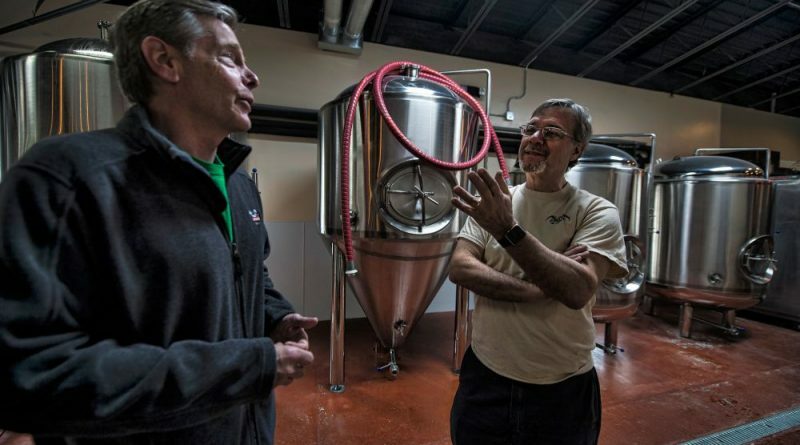 He has handled brewing operations at the former Mad Horse Brewery in Lovettsville, Ocelot Brewing Co. in Ashburn and the Smoketown Brewing Station in Brunswick, MD. Although still preparing for the Dragon Hops grand opening in two weeks, Horris already has his sights set on the future. Moving forward, he said the brewery would focus on Belgian, German and Czech-style beers, such as pilsners, bocks, dubbels and trippels. He said these beers would also be brewed with “no strange fruit fusion weirdness” that many other breweries tend to use. Beginning May 5, Dragon Hops will be open Thursdays from 3-10 p.m., Fridays from 3-11 p.m., Saturdays from 12-11 p.m. and Sundays from 12-9 p.m. For more updates, visit dragonhopsbrewing.com.